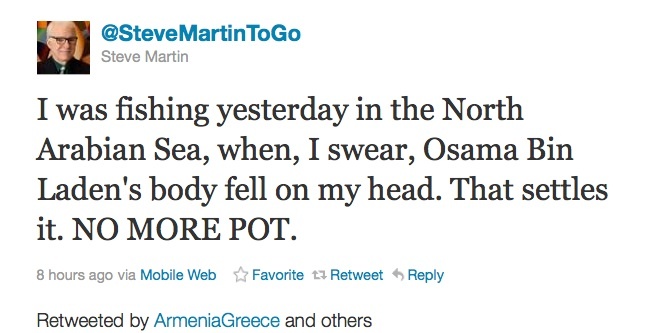 Steve Martin, Charlie Sheen and Rob Lowe: Who had the craziest reaction to the killing of bin Laden? Yesterday we asked two very important questions about people's reactions to Osama bin Laden's death: "Is it too soon to laugh?" and "Can celebrities be held responsible for their (or their kids') tweets on historic occasions?" As it turns out, the answer is "yes" and "yes." While some comedians actually provided clever and insightful commentary on yesterday's news, far more went the easy route and just added to the deafening roar of bloodthirsty pro-America shouting. 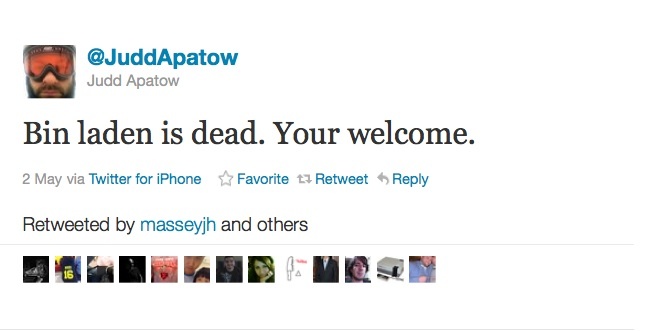 Today we look back and find the good, the bad and the ugly of celebrity Twitter reactions to Osama's death. First, there was the "What about ME?" 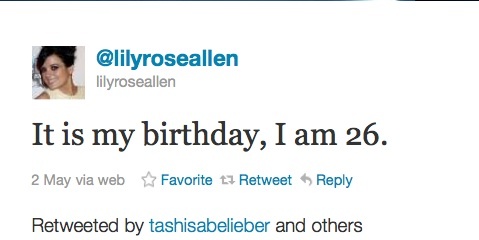 response: Both Lily Allen and The Rock celebrated their birthdays yesterday and didn't want that fact to get overshadowed in all the hubbub. Too soon? We doubt this joke would have been funny even if we gave it a year.